A young child stumbled into the rhinoceros enclosure at a Florida zoo and was injured, officials said. The child’s condition was not immediately known. “The family was transported to a local hospital by ambulance,” the Brevard Zoo in the central-eastern Florida city of Melbourne said. US media reported the child’s age as two. At the Rhino Encounter exhibit, participants and the rhinoceroses are kept separate by a series of steel poles. 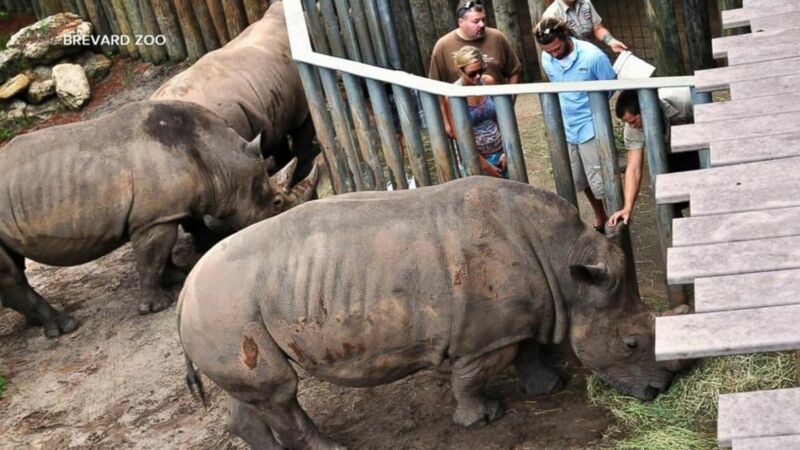 “According to witnesses, the child stumbled and fell in between two of the poles and at this point, the snout of at least one of rhinoceroses made contact with the child,” the zoo added.